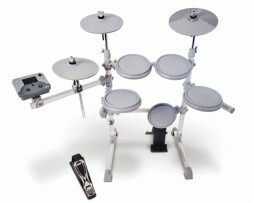 Get that familiar acoustic drum feel without all the noise with the KAT KT3 electronic kit. 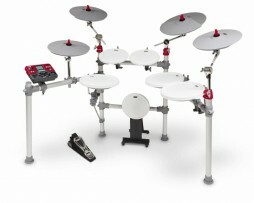 Its snare, tom, and cymbal pads respond dynamically to each hit. 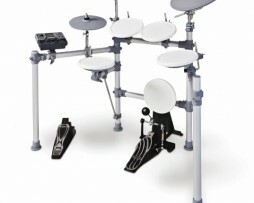 Now you can practice in the middle of the night without bothering the neighborhood!